Welcome to Labor of Law. This week we're spotlighting some of the closely watched age-discrimination cases at the U.S. Supreme Court and lower courts. Microsoft's getting attention for its new paid-leave policy. What are the compliance hurdles? And scroll down to see who got the work and Around the Water Cooler—including the new defections from Reed Smith. I’m Erin Mulvaney in Washington, D.C., covering labor and employment from the Swamp to Silicon Valley. Follow this weekly newsletter for the latest analysis and happenings. If you have a story idea, feedback or just want to say hi, I’m at emulvaney@alm.com and on Twitter @erinmulvaney. The aging workforce in the United States, expected to make up a quarter of the workforce by 2019, faces legal hurdles in the increasingly competitive and online-driven workforce. Earlier this morning, the full U.S. Court of Appeals for the Seventh Circuit was set to take up an age-discrimination case brought by a lawyer named Dan Kleber. I wrote about the dispute in June, when the court said it would hear the case en banc. A three-judge panel earlier ruled for Kleber in his case against CareFusion Corp., which turned him down for an in-house post. A team from Ogletree, Deakins, Nash, Smoak & Stewart represents the company. >> The big issue: Can a would-be employee hold an employer liable for alleged age discrimination? Appeals courts are divided. Read Ogletree's rehearing petition here. The U.S. Equal Employment Opportunity Commission and worker-friendly advocates have trained a new focus in recent years on employment practices that can weed out older workers on the front-end. These include online applications that include required graduate dates, campus recruiting and maximum years of experience. The AARP Foundation, which represents Kleber in the Seventh Circuit case, recently pinpointed the legal battles that target federal and state anti-discrimination laws surrounding workers 55 years and up. The new report “What’s At Stake for Older Workers In America” comes as the Senate considers the nomination of Judge Brett Kavanaugh for a seat on the Supreme Court. During his time on the D.C. Circuit—12 years and 3 months—he penned a number of labor-related cases that suggest he will be a solid pro-employer vote. Republicans portray Kavanaugh as an open-minded jurist who won't reflexively rule for corporate interests. Here are some highlights from AARP Foundation attorneys Dan Kohrman, Laurie McCann and Dara Smith of what's at the Supreme Court now. The Mount Lemmon Fire District in Arizona fired two firefighter captains who were the two oldest full-time employees. When they filed discrimination claims that they were replaced by younger workers, the district court said the fire district was not an employer because it had fewer than 20 employees. The Ninth Circuit reversed and found that exemption for employers with fewer than 20 only applied to private entities, not political subdivisions of the state. 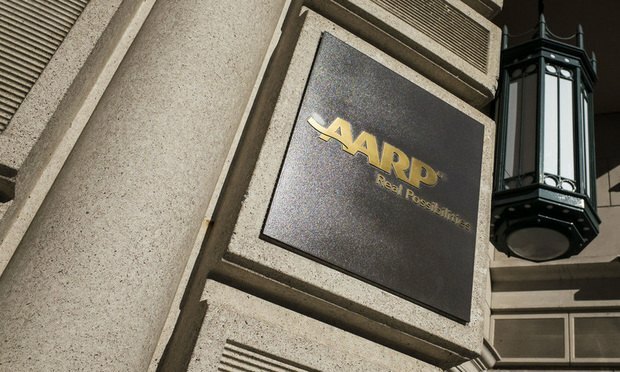 “The outcome of this case will have a significant impact on private and government ADEA enforcement efforts in regard to age discrimination in the public sector," the AARP lawyers said in their report. "The Supreme Court’s ruling will affect all older workers in smaller state subdivisions and agencies. Without the protection of the ADEA, government workers employed by such entities will only be able to seek state-law remedies for age discrimination, to the extent such remedies are even available." New Prime, an interstate trucking company, classifies workers as either independent contractors or employee after they complete an in-house apprenticeship program. The case asks whether the Federal Arbitration Act applies to contractors. The First Circuit sided with the plaintiff. The company, represented by Theodore Boutrous of Gibson, Dunn & Crutcher, said the appeals court incorrectly expanded the meaning of “contracts of employment” for transportation workers to include agreements that establish independent contractor relationships. In 2016, a Lamps Plus Inc. employee filed a class-action in federal court after the company incurred a data breach exposing the personal information of current and former employees to a third party. In response, Lamps filed a motion to compel arbitration pursuant to its employment contract. The company argued that arbitration “should be compelled on an individual basis” because there was no contractual basis for permitting parties to file on a class-wide basis. The agreement did not expressly waive class-wide claims and was ambiguous, the plaintiff argued. The district court agreed with the plaintiff, and the Ninth Circuit upheld the decision. Mayer Brown's Andrew Pincus is counsel of record to Lamps Plus. ➤➤ Microsoft Corp. announced an updated policy that requires major suppliers—law firms included—to provide employees with paid parental leave. This means aa minimum of 12 weeks paid time off, up to $1,000 per week for parents at the birth of adoption of a child. The move mirrors a Washington state law that's set to go into effect in 2020. Dev Stahlkopf, vice president and general counsel for Microsoft Corp., detailed the new policy in a blog post. Ellen Bravo, co-director of the advocacy group Family Values @ Work, praised Microsoft’s decision—and argued the country needs a federal social insurance fund to pay for paid leave for all families. She called the United States “an outlier when it comes to paid leave,” and urged the nation to catch up to the rest of the world. Katherine Fechte, a St. Louis-based associate at Greensfelder, Hemker & Gale, said she wants to see how Microsoft will hold suppliers accountable and what actions the company might take for any non-compliance. 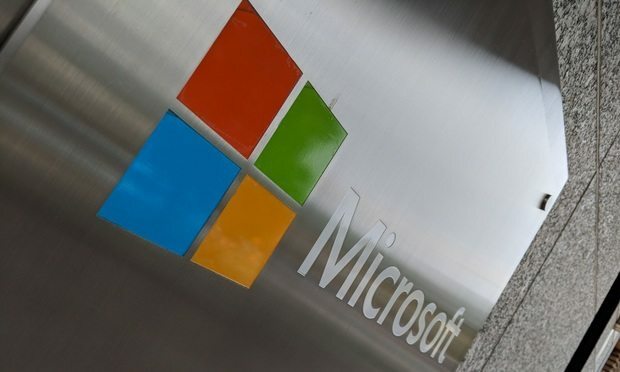 “I also wonder if Microsoft plans to provide its suppliers with guidance on how to draft and enforce a legally-compliant paid parental leave policy," Fechte said. "There might be some confusion over the requirement that the policy apply to ‘supplier employees who perform substantial work for Microsoft.’ I wonder if Microsoft has pre-defined the term ‘substantial work’ because if not, I think that might become an issue of dispute in implementing the policy." >> JPMorgan Chase & Co. agreed to pay $24 million to end a lawsuit filed by six current former financial advisers who said they were discriminated against because they are black. The bank agreed to pay $19.5 million to the members of the class and $4.5 million into a fund that will pay recruitment, bias training and a review of coaching program for black advisers. Linda Friedman, founding partner of Stowell & Friedman, represented the plaintiffs. Sari Alamuddin of Morgan Lewis & Bockius represents JPMorgan. Here's a link to the settlement agreement, filed in the Northern District of Illinois. Read more on Bloomberg. >> In a test of the California Supreme Court ruling that applied a stricter test, known as the ABC standard, a judge ruled that Imperial Showgirl dancers should be classified as employees in their wage and hour lawsuit. The dancers are represented by Shannon Liss-Riordan and Matthew Thomson of Lichten & Liss-Riordan, and Kashif Haque, Samuel Wong and Jessica Campbell of Aegis Law Firm. Imperial Showgirls and VCG Holding Corp. are represented by Rassa Ahmadi, Sean Shahabi and Michael Hood of Jackson Lewis. The affiliate International Entertainment Consultants Inc. is represented by Shane Cahill and Douglas Melton of Long & Levit. >> Warner Media embraces the "inclusion rider," saying in a statement: "Together with other production companies, networks, guilds, unions, talent agencies and others in the industry, we all must ensure there is greater inclusion of women, people of color, the LGBTQ+ community, those with disabilities and other underrepresented groups in greater numbers both in front of and behind the camera." >> How far will the California bill that bans mandatory pre-dispute arbitration between employers and employees go? It may not signal a wave of reform. >> The Justice Department under Attorney General Jeff Sessions has shifted efforts to protect people of faith, police officers and local government officials. Copyright © 2018 ALM Media Properties, LLC.